Once you get a credit card for your business, the best thing to do is avoid co-mingling. 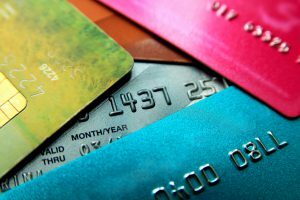 Credit cards for business should be used with great responsibility. Pay bills timely and don’t take on debt unless those debts will increases revenues. Cash flow should be managed and good records should be kept by using cash advance only when there is no other option left. Save records of the monthly transaction of credit cards for maintaining files of monthly reports. The toughest thing to manage by a business credit card holder is to mix personal and business expenses. Simply avoid this co-mingling. Any mistake can happen if you mix both expenses. The business payments may be missed. Business purchases may exceed the limit of credit cards. This mismanagement may ruin your personal credit scores as well as decrease your business card rating. When you use business credit cards with responsibility, your rating is improved and you can get more credit. IRS and creditors expect that you use the credit card of business line to pay for business expenses only if you are serious about your business. Keep yourself updated by checking email regularly. The CARD Act in 2009 is basically for consumers and has less impact on the business credit card holders. The creditors are often changing the policies and updating the credit card holders via emails. So keep checking your emails to update yourself on these changes. Monthly financial statements are critical to know the exact financial status of your business. Monthly financial statements tell the amount of capital and credit you are left with. You remain updated by reviewing financial statements often and knowing whether you are able to pay debts or not. You can get maximum benefits from your business credit card by availing the rewards offered by the creditors. Creditors often suggest rewards according to specifications of your business and interests. Keep yourself updated by researching different cards and making comparisons to see what is best for you and your company. Select the card which gives you maximum rewards and benefits. Similarly, there is credit card protection card to protect you against credit card fraud. The best way to increase profit margin is to manage cash flow. Make a business plan and formulate the budget. Analyze the cash flow of the month and ask your creditors to recharge your credit cards in the dates when there is a huge cash flow expected. This responsible use of credit card prevents you from many adverse situations. You are able to make payrolls timely. You don’t need to offer discounts to vendors for quick payments. Good cash flow management increases your credit card ratings. Debt is the tiger that can kill your business. Debt decreases your rating and you may not be able to obtain credit when you really need it. Avoid debt and avail it as the last option left. Taking debt just for making new purchases for a well-established business is not a good idea. Debt can be taken only to increase revenues. For example, if your company is hiring new staff, shifting to another profitable location, or purchasing upgraded equipment, these are situations when you may need to use a business credit card. Responsible use of business credit cards is a part of business management and makes you credible in front of creditors, customers, and suppliers.